But why are land surveys so important and why might a person need one? The reasons a person would want a land survey will vary depending on the situation and who is requesting (or requiring) one. Purchasing Property: A person will most often link land surveys to purchasing a home or piece of property. When purchasing property, you want to be sure you know exactly what you are paying for at time of purchase, and also what you will be paying taxes on. You want to know that after closing, you will actually own the area that is being advertised by the seller. It is not unusual for a lender to require a land survey in order to take out the loan to finance the property. If you should find yourself in this situation, you might be able to get the seller to pay for the survey. On the flip side of that coin, a seller will often proactively have the land surveyed prior to selling to use as a selling tool as it will give prospective buyers piece of mind. Also, since property taxes are determined by the size of your property and the structures located on said property, it is important that your survey matches the land maps held by your town or city hall. If they do not, you may be paying more (or less depending on the results) in taxes which is something that needs to be resolved sooner rather than later. Boundary Disputes: A land survey is also often used to resolve property, or boundary, disputes between neighbors. Whether you are new to the neighborhood or you and your neighbor have both resided beside each other for a long period of time, the idea that you both believe you own the same piece of property can lead to a very uncomfortable, and sometimes hostile, situation. For instance, you decide to have a fence installed on what you believe to be your property, and your neighbor asks you to remove the fence, insisting it is in fact on his/her property. 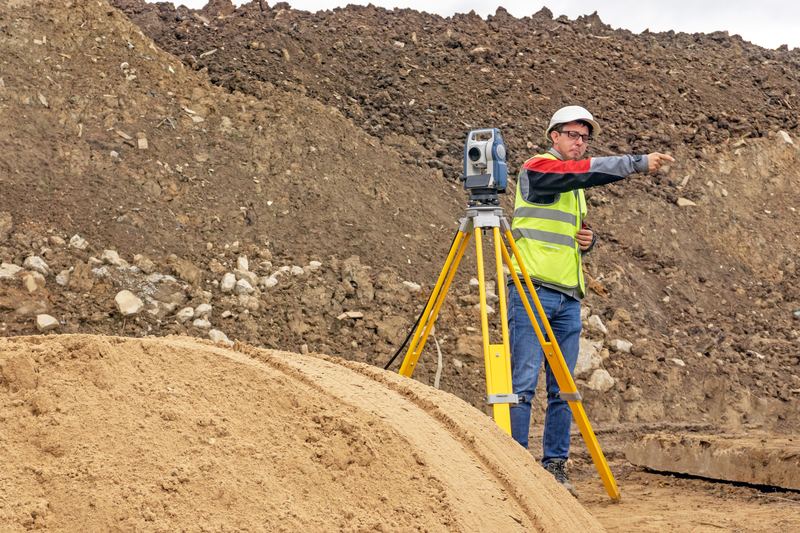 In order to really determine where one person’s land ends and the others begins, you may find yourself hiring a land surveyor and having it sorted out and finalized legally. The surveyor you hire can legally stand up for you in court if the situation escalates to that point. Dividing Land: Another instance that requires a land survey is dividing land. Perhaps you have a lot of acreage in which you wish to divide to either sell or hand down to your children. In order to do this, a survey will be needed to be sure this is done in accordance with your areas’ zoning laws. New Construction: If you are considering building a new garage, barn or other large structure on your property, find out if a land survey is required by your town or city. As this requirement differs from county to county, it is recommended to do your homework before actually planning your project. If you should find yourself hiring a surveyor for any of these situations, you’re not just hiring for the survey itself, you’re also hiring for the piece of mind a professional survey can provide. Its added security in protecting your investment and preventing future boundary issues with nearby property owners.